Delivers 29 Highway MPG and 22 City MPG! This Volkswagen Tiguan delivers a Intercooled Turbo Regular Unleaded I-4 2.0 L/121 engine powering this Automatic transmission. TITAN BLACK, CLOTH SEATING SURFACES, ROADSIDE ASSISTANCE KIT -inc: booster cables, warning triangle, LED flashlight, work gloves, multi-tool and more, DEEP BLACK PEARL. * This Volkswagen Tiguan Features the Following Options *Window Grid And Roof Mount Diversity Antenna, Wheels: 17 10-Spoke Alloy, Wheels w/Silver Accents, Variable Intermittent Wipers, Urethane Gear Shift Knob, Trip Computer, Transmission: 8-Speed Automatic w/Tiptronic -inc: sport mode, Towing Equipment -inc: Trailer Sway Control, Tires: 17 All-Season, Tailgate/Rear Door Lock Included w/Power Door Locks. 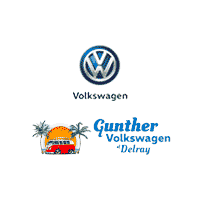 * Stop By Today *Stop by Gunther Volkswagen of Fort Lauderdale located at 1660 S State Rd 7, Fort Lauderdale, FL 33317 for a quick visit and a great vehicle!